Spring has finally sprung! We love all of the beautiful things that spring brings: the lighter, longer days, warmer weather and blossoming flowers. Spring is also the perfect time to transform your home to make the most of this glorious time of year and the upcoming summer months. To help you decide the best spring home improvements for you, we’ve put together a handy guide of the best transformational products that will allow you to enjoy the added sunlight, sunny weather, fresh air and the beautiful garden views. 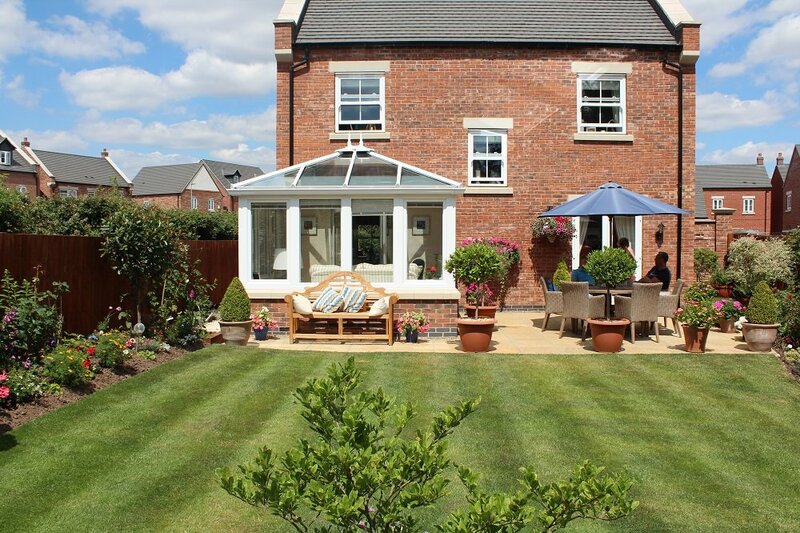 The most sought-after spring home improvement for our customers in Derby is a conservatory. 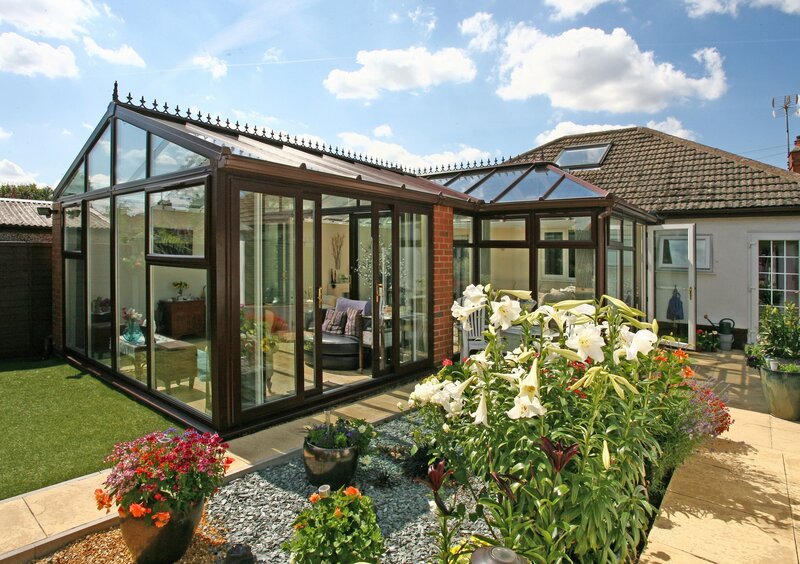 Conservatories are much-loved as they give homes a room dedicated to making the most of the outdoors. As conservatories are traditionally made up of glass walls and glass roofs and allow sunlight to beam through the room in all directions. This is handy during the long spring and summer days, as you can watch the sun phenomenally rise from one side of the room and set beautifully on the other. Having a conservatory also means that you can enjoy warmth of outside without having to actually step outside of your home! This is ideal if you want to bask in the sunshine but don’t want to worry about any unwanted flies or insects ruining your fun. 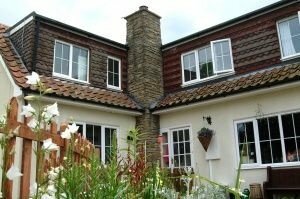 Conservatories from Trade Windows are available in a variety of styles, from the classic Gable-end, Edwardian and Victorian, to contemporary orangeries and glazed extensions. 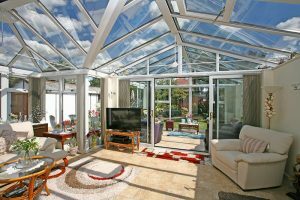 If you already have a conservatory, you might find that it gets too hot during the spring & summer. 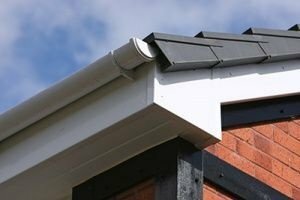 New technology is now available, and to combat this you could opt for a replacement solid roof. 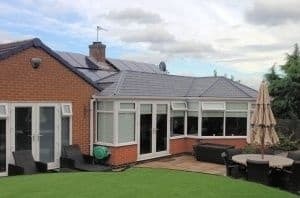 A replacement conservatory roof is installed in place of your existing polycarbonate roof to give you a place to relax in the cool shade, sheltered from the sun’s glare and to stop the room overheating. Another popular spring home improvement is widespan doors. Favoured for the large glass walls and the wide openings they offer, widespan doors are the perfect way to blend your home and outdoors during the warmer months. Widespan doors can be either bifold doors and sliding doors. 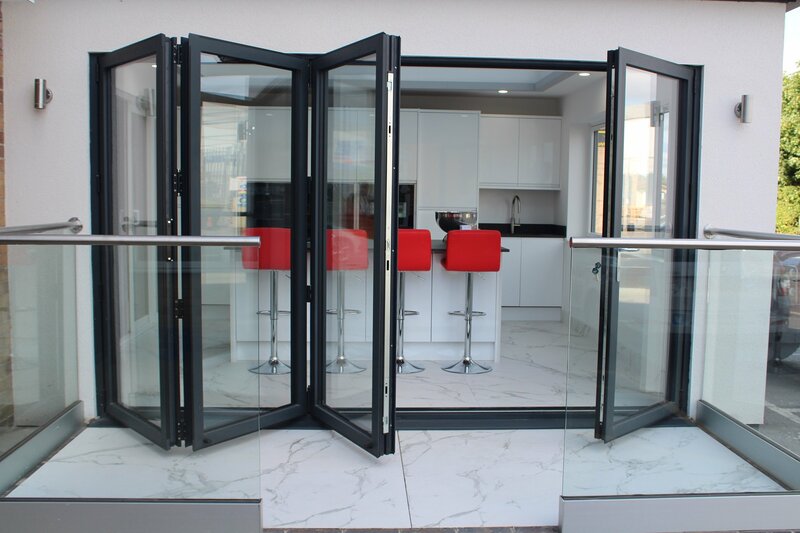 Bifold doors work really well as the glass panels neatly fold away in a concertina style, to reveal a completely open space. Sliding doors offer a panoramic wall of glass, with a maximum of 6 glass panels which open up rooms beautifully even when they are closed. 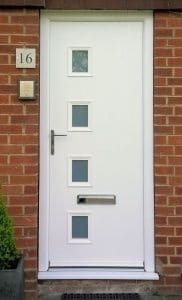 Widespan doors can be either PVCu or aluminium, with aluminium being the first choice of our Derby customers, especially when they want to achieve slim sightlines. The sleek frames of aluminium widespan doors mean that you are left with unobstructed glass panels that the sunlight can shine through. The glass walls also allow you to admire the views outside, watching the flowers blossom and the wildlife return during the spring. When open, widespan doors mean that you can make the most of indoor-outdoor living, effortlessly flowing between the home and garden – perfect for children playing outside, hosting BBQs and garden parties and relaxing in the sun. One of the things we love about the spring is that the sun makes a much-anticipated reappearance. You can make the most of this with your very own indoor sunshine, thanks to a Skypod roof lantern from Trade Windows. Roof lanterns work by being installed on flat roofs – such as in a flat roof extension – allowing the sunlight to shine directly down into your living space. This way, your home will always benefit from the natural light and will feel brighter and airier. 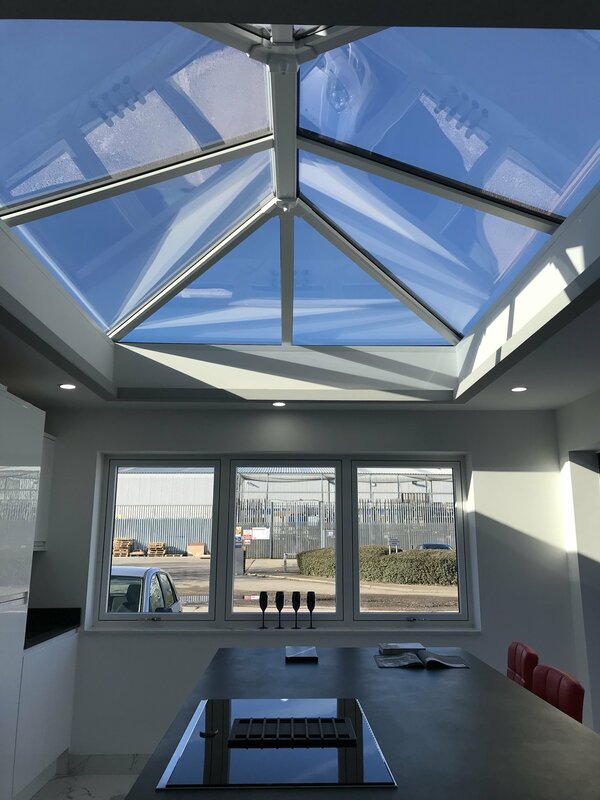 The glazed roof lanterns also offer stunning aerial views of the spring & summer sky above, and the clever pitched design adds height and style to your home. 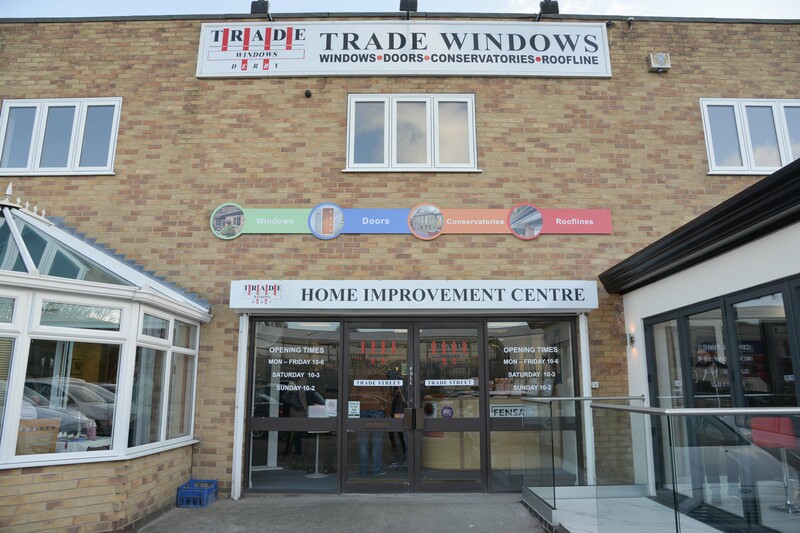 If you’d like to see how stunning your home could look with a conservatory, widespan doors and Skypod roof lanterns, visit the Trade Windows showroom this spring. We have our full product range on display, so you can see how would help you make the most of the spring weather in your home. At the front of our showroom, we have 2 conservatories on display, including one fitted with bifold doors and a roof lantern– great inspiration for your spring home improvements! You can pop in from 10am – 6pm Monday – Friday, 10am – 3pm Saturday and 10am – 2pm Sunday. Alternatively, you can get in touch with us to have a member of our expert team visit your home to recommend the best products for you. Fill in a contact form here or call 01332 755551. Don’t forget to check out our Facebook and Instagram page for inspiration too.